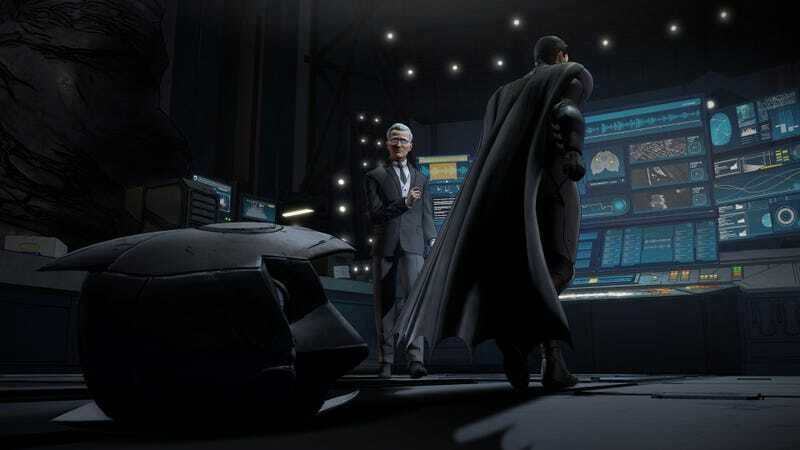 This first episode of Telltales take on both sides of Bruce Wayne arrives early next month. The release date arrives with the game’s first trailer, hitting all the bat beats comic book fans are familiar with. We’ve got crime boss Carmine Falcone acting like he owns the place, Harvey Dent making questionable choices, Alfred worrying about Bruce Wayne’s personal life and legacy and Bruce as Batman ignoring those worries, because he’s kind of a jerk. Will he choose Vicky Vale or Catwoman? It doesn’t matter, he’ll never happy for long anyway. The first of five season one episodes of Batman: The Telltale Series, “Realm of Shadows,” will be available on August 2 for PC, Mac, iOS, Android, PlayStations three and fur and Xboxen 360 and One.